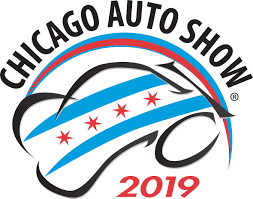 CHICAGO (Feb. 6, 2019) - The Chicago Auto Show is proud to announce State Farm, Wintrust Financial and Turtle Wax - new for 2019 - as Premier Partners of the 2019 Chicago Auto Show. In addition to premium exhibit space on the show floor, each partner will offer various promotional activities throughout the run of the show, Feb. 9-18. Premier partners enjoy category exclusivity and receive additional exposure to show attendees through premier partner benefits packages. Turtle Wax will also show its love for four-legged friends at the Chicago Auto Show by hosting pet adoptions on the show&#39;s final day, Family Day, Monday, Feb. 18. The Chaos & Cuddles pet care line from the Turtle Wax family invites current and prospective pet owners to visit the North Hall ticket lobby where they&#39;ll be set up with the Chicago Wolves to see adoptable pets and enjoy complimentary samples of new pet care products. Returning as the exclusive bank sponsor and presenting partner of the Super Car Gallery - an area at the show featuring rare, exotic and ultra-high-performance sports cars - Wintrust Financial continues to make its mark in Chicagoland. New this year, Wintrust is offering its customers more opportunities to gain exclusive access inside the Wintrust Super Car Gallery. Social media-savvy fans may increase their chances of winning exclusive, behind-the-scenes access into the gallery by sharing a photo of their dream car via Instagram or Twitter with hashtag #SupercarSweeps. (Entrants must tag @thechicagoautoshow on Instagram and @ChiAutoShow on Twitter along with the entry.) Fans may also upload their photo via the official contest link: http://www.idevmail.net/link.aspx?l=6&d=155&mid=375787&m=1712 Chicago Auto Show organizers will randomly select one winner each week leading up to the show to grant exclusive access and, once the show begins Feb. 9, a daily winner will be announced through Feb. 17, the day before the show closes. also continues as a corporate supporter of the show&#39;s First Look for Charity, as the company is committed to going above and beyond banking solutions to support Chicagoland communities. State Farm Insurance has been a staple exhibit with its interactive exhibits and the State Farm Help Desk. The 2019 State Farm Chicago Auto Show activation features The Game of Life, presented by State Farm in partnership with Hasbro. As State Farm is &quot;here to help life go right,&quot; this year&#39;s activation allows consumers to become an oversized game piece and experience The Game of Life through the lens of car-buying decisions, from their first car to their retirement RV. As a thank you for participation, consumers walk away with life moment photos and a branded tote bag. State Farm representatives will also field thousands of questions and assist attendees at the Here to Help Center in the Grand Concourse throughout the entire public show.